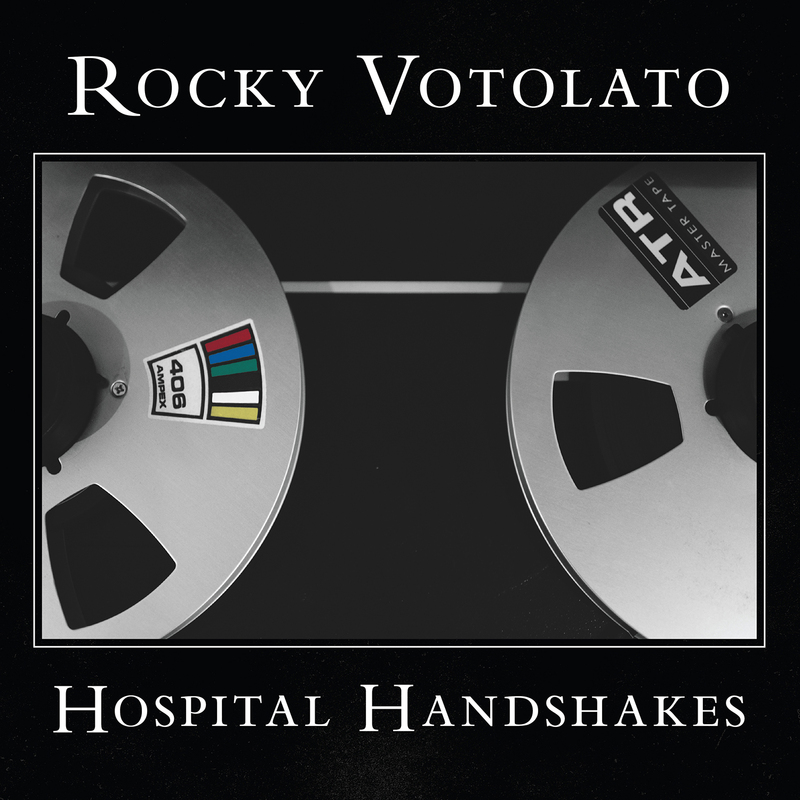 Seattle singer-songwriter Rocky Votolato has announced he will be releasing his eighth studio album, Hospital Handshakes, on April 21st with his new label Glitterhouse Records in Europe. In anticipation for the upcoming release Votolato has partnered withStereogum.comtoday to premiere a new song titled “The Hereafter” from the record. The new full length, Hospital Handshakes, is a surprisingly positive explosion of energy that examines themes of healing from trauma, overcoming depression, spiritual longing, and finding a real sense of purpose in life. It will mark a turning point in Votolato’s career, the end result of a tumultuous transition that began after the release of his seventh album, Television of Saints, in 2012 with the songwriter second-guessing his gift and even considering retiring from music. Following his final tour with mewithoutYou supporting the record, realizing that he hadn't written any new music in over a year, Votolato decided to take some time off the road. It was then, in the summer of 2014, that the creative floodgates finally opened and he recommitted himself to his music with a renewed passion and sense of purpose. For his latest effort, Votolato once again teamed up with producer Chris Walla, an old friend who was going through his own transition after recently retiring from his longtime role as guitarist and producer for Death Cab for Cutie. Speaking on his own involvement, Walla says, "This collection of songs hit me really hard, and at a really good time. It's shaping up to be a visceral and tactile album; the band is incredible, and Rocky's writing is spring tight right now. This is a good one." "I feel like this record was all about pushing the boundaries of what I'm capable of creatively, experimenting with collaboration, and finding a new environment for the kind of introspective songwriting that I've always loved. To stay on the path of a life in music i knew I was gonna have to find a new direction and step outside of my comfort zone. It wasn't always easy but I'm so excited about the energy this album captures and can't wait to share these songs with people." Collaborating with a standout cast of Seattle musicians, including his brother Cody Votolato on electric guitar (The Blood Brothers), Eric Corson on bass (The Long Winters), Andy Lum on drums (Craft Spells/My Goodness) and Casey Foubert contributing Aux instrumentation (Sufjan Stevens), the album promises to be unlike anything he has released before. At the core of Votolato’s new music is the same earnest, impassioned, seeking voice, but now with a little more perspective, the product of self-realization hard-earned from a period of darkness and doubt.